Your System comes with Snap-Ons. Snap-Ons enable the instant transfer of policy data from your company's illustration software to this InsMark System. 3) withdrawals and/or loans for retirement cash flow. Although useful with a wide array of clients, this illustration is particularly efficient when used with first-time buyers of permanent life insurance. 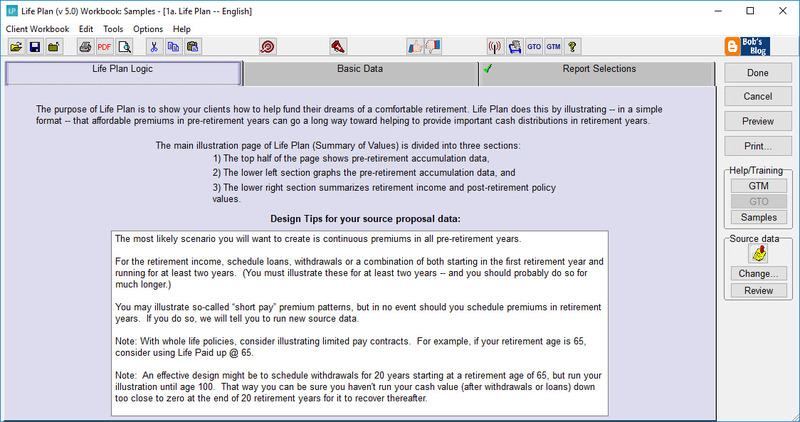 Life Plan is a strategy that emphasizes death benefit and pre-retirement cash accumulation while also providing a source of retirement income. 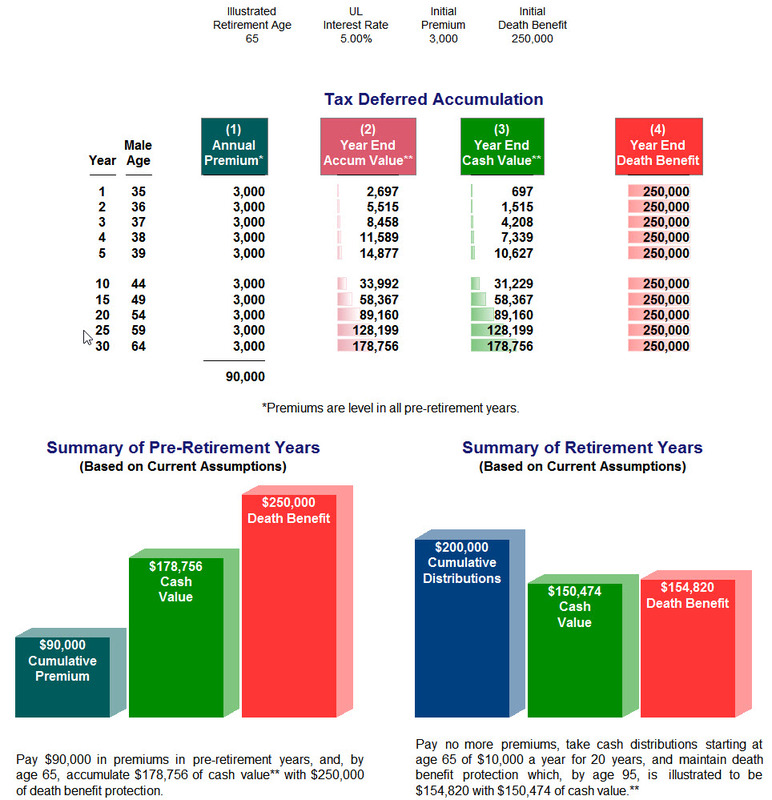 A Life Plan presentation shows your client the value and flexibility of permanent policies with a death benefit, annual premiums, followed by cash flow (the example above shows withdrawals to basis; loans thereafter). About Robert B. Ritter, Jr.